Ahead of the relocation of President Muhammadu Buhari to the Presidential Villa, arrangements have been concluded for the Nigerian military to take over the activities of the Strike Force, The PUNCH has learnt. The Strike Force, which is a special security outfit saddled with the responsibility of protecting the President and the seat of power, is currently comprising only officials of the Department of State Services. A top Presidency official, who pleaded anonymity, told our correspondent on Tuesday that soldiers might take over their responsibility very soon. 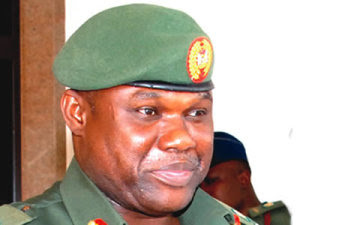 The source said a Lieutenant who will be leading 21 other military personnel had already been transferred to the Strike Force with an instruction to take over from the DSS officials. He said, “DSS officials are the ones that have been serving in the Strike Force. “With this development military personnel will take over from them henceforth. Operatives attached to the Strike Force are always trained abroad on counter-assault and other techniques aimed at making their jobs easier. In explaining their duties, the source said its operatives were the ones former President Olusegun Obasanjo erroneously referred to as snippers in his widely-publicised open letter to former President Goodluck Jonathan. Another official, who is aware of the arrangement, also said that machinery had also been put in place to change the new Presidential Villa’s Administrative Officer, who was deployed by the DSS about two weeks ago and replaced with a military officer. He said all DSS officials currently serving inside the Presidential Villa were not sure of their fate yet. “The truth is that we are not sure of anything yet. Whichever way, we will only act based on signals from our headquarters whether to leave or remain inside the Villa,” he said. Meanwhile, a major disagreement broke out on Friday between DSS officials drafted from the Presidential Villa, Abuja to the National Mosque, Abuja and some officials of a private security firm. The PUNCH had reported last week that DSS officials were having a running battle with officials of the security outfit who were reported to have been securing Buhari before he was inaugurated as the President on May 29. Their two earlier encounters in the same mosque were settled amicably with officials of the firm asked to leave the premises for DSS officials. Our correspondent, however, learnt that trouble started again last Friday when DSS officials also sighted the officials of the private firm in the mosque. A source claimed that trouble started when one of the officials of the firm was asked to identify himself. “The DSS officials had asked the private guard to identify himself. One thing led to the other and the private guard was said to have held the necktie of one of the operatives. That led to a fisticuffs. It took the timely intervention of senior officers for the situation to be brought under control,” the source said.